We started as a small business 60 years ago. Thanks to our passion and ambition, we've now become an innovative packaging specialist. We're happy to help you with design, management, and distribution of food and non-food packaging, as well as with packaging materials, hygiene products, and disposables. We currently have more than 10,000 products for you to choose from, which are supplied daily to clients around Europe, particularly those active in retail, the food sector, hospitality, catering and industry. We've gone from strength to strength throughout the years we've been in business - from being a front runner in sustainable packaging to becoming the leading business in our supply chains. We think it's important that environmental solutions are found from within these chains, and that we make our contribution to this. This is why we share our knowledge through these supply chains and make connections for our customers, be that between supply and demand, today and tomorrow. For more than fifteen years, our focus has been on protecting and respecting the environment around us. This approach has allowed us to become the European leader in environmentally-friendly packaging made using renewable raw materials. We like to share our knowledge and experience in terms of sustainability in a range of networks and individual customer relations. Your business can become and remain greener, too. Find out what it means to have a packaging manager by your side who takes away the burden of packaging management, and at the same time helps you to reduce your carbon footprint. All this gives you more time to focus on your core business. As a supply chain director, we operate a sustainable packaging policy. And by supporting you pro-actively in your decisions, we aim to ensure that all cooperation with our customer relations is valuable. We are always looking for new solutions that are both innovative and sustainable. 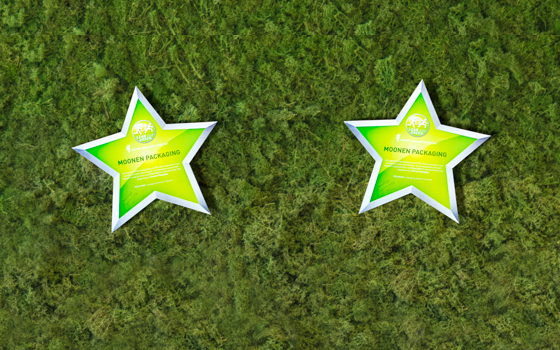 We take pride in exceeding our customer's expectations by always going the extra mile, while loving our planet. We are the European leader in sustainable business and innovative packaging. We use natural products and energy sparingly, efficiently, and sustainably. Every saving we make is invested into our relations with customers and supply chain partners, whom we help with developing sustainable business practices. Together, we are able to develop modern and environmentally-friendly alternatives. Our strength lies in the way we combine these alternatives with efficient logistics solutions. Saving is our second nature. For those who work with us, they realize that saving is not less, but more! 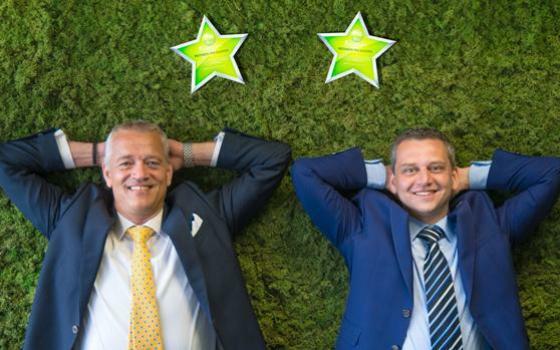 Doing business with Moonen means you get to work with the greenest company in the Netherlands, the most attractive employer in Limburg, and a company that has recently won its second Lean and Green Star award for sustainable logistics. We are always raising the bar, both for our business and your own. Share your ambitions with us and let's save together, both environmentally and economically. A certificate is a form of transparency, offering national or international confirmation that we are a reliable partner. For Moonen, every certificate gained and every standard applied means an opportunity to demonstrate that we are continually going the extra mile for our clients, partners, and suppliers. With our certifications and standards, we help them make progress. You can read about how they do this here.